The tower presently leans to the southwest at an angle of 3.97 degrees. At the beginning it intended to stand vertically but was impossible due to a poorly laid foundation and loose substrate that has allowed the foundation to shift direction. 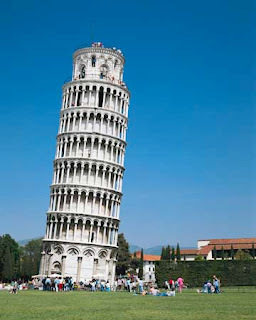 The height of the tower is 55.86 m from the ground on the lowest side and 56.70 m on the highest side. 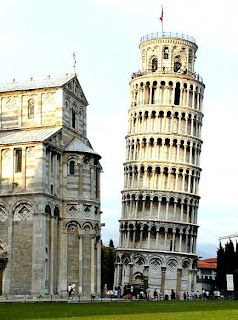 Its weight is estimated at 14,500 tones.It is located in Italy.